The Bloody Caesar is a cocktail invented right here in Canada, in Calgary, Alberta, and is rarely found, or heard of anywhere else in the world. Invented in 1969, by Walter Chell, at the Calgary Inn (which is now the Westin Hotel), it is said to be created mimicking the flavor of the Italian dish, Spaghetti alle vongole – pasta with clams and tomato sauce. Its ingredients are Clamato Juice (a mix of clam and tomato juices), vodka, worcestershire sauce, tabasco,The recipe, over ice, is more or less the 1, 2, 3, 4 principle: 1oz of Vodka, dash the Tabasco twice, 3 shakes of salt and pepper, and 4 worcestershire sauce splashes, then, to complete the cocktail, the glass is filled with Clamato Juice, usually rimmed with celery salt, and finished with a piece of celery and a slice of lime. Supposedly, it is named a Bloody “Caesar” because of the creators Italian ancestry, and an Englishman who was a regular, that, as his daughter said, one day called it a “damn good bloody Caesar”. 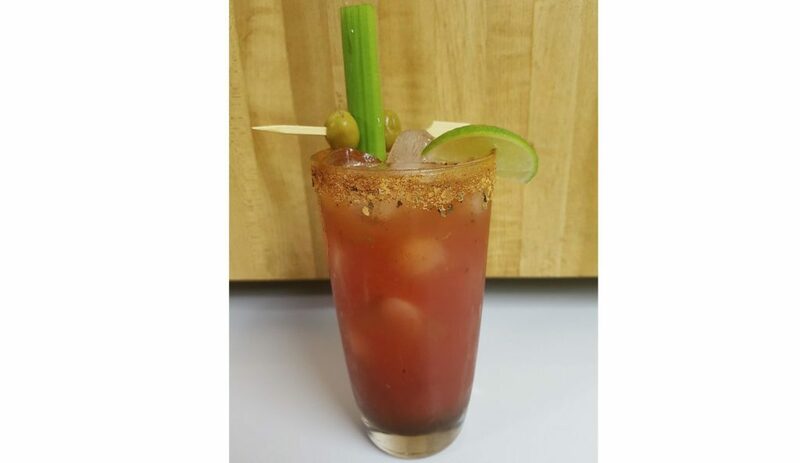 Interestingly, about 350 million Bloody Caesar’s are drank all over Canada every year, and is widely regarded here as the perfect hangover cure, although of course this is not medically proven! If you’ve ever had a Bloody Mary, you will be surprised at the similarity in looks, but the spicy and smooth difference in taste. So when you relocate to Canada, make sure you stop for a fresh Bloody Caesar! For further reading: You might also enjoy our articles on Canadian beers, Canadian slang, and Cannabis in Canada.